Blog > Patterns we love > 5 Knitting Projects You Can Make for Under $50! 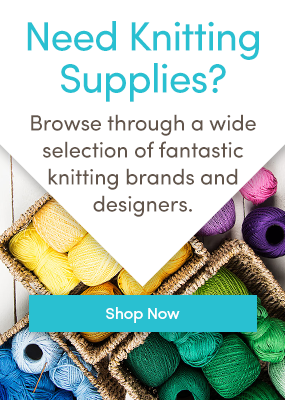 Finding the perfect new thing to knit while on a budget can be a problem – but it doesn’t have to be! We searched our site and found you these 5 amazing projects for under £50/$50! This sweater from our men’s patterns collection is a great knit on circular needles and an aran weight yarn. The simple yet detailed design by Kyoko Nakayoshi is available in many sizes, and even the largest one doesn’t require more than £50/$50 worth of yarn! Try in with the machine-washable Paintbox Yarns Cotton Aran! Cosy up with this wonderful throw by Anita Grahn! It’s stunningly beautiful and amazingly designed. We can’t believe it’s less than $50 to make, but it’s true! All you need is the pattern and five balls of Cascade 220. Check out more blanket patterns here! This laptop case might be smaller than our other projects but it will definitely make an impression! You won’t be able to save yourself from questions about where you got it! If you exchange the Imperial Yarn that’s suggested with another bulky yarn, you save even more, but either way, you will stay under $50! This vest is a garment for every style from casual to elegant. The loose fit is not only a great modern design, but also flattering for all shapes and sizes! It’s knitted in Willow and Lark Ramble and even the largest size can be made for less than $50. Find more waistcoat patterns here! Treat your home to this giant floor cushion! Perfect to get comfy on and enjoy some well deserved down time. You can knit it in any chunky or bulky yarn, for example the Paintbox Yarns Simply Chunky! You can choose your favorite color and it’s a great bargain, too. Need more cushions? Have a look at our other patterns! What’s your favorite project under $50? Why not share with us in the comments below! Last updated: February 23rd, 2018. 3 Responses to 5 Knitting Projects You Can Make for Under $50! I’m currently knitting the Stornaway Throw for my husband. He doesn’t know – don’t tell him! I’m using Paintbox Simply Aran in Evergreen. I love the way the pattern is working up – so pretty already! Of course I’m also knitting a bunch of other WIPs (we won’t talk about those), so I only have about a foot knitted.